Dr. Patrick Cox of Wimberley, Texas (patrick@weown.it) is an award-winning and acclaimed historian, author, conservationist, and a sixth generation Texan. Dr. Cox received his Ph.D. in history and his B.A. in history from the University of Texas at Austin. He earned his M.A. in History with Honors from Texas State University, formerly Southwest Texas State University. He is the author of nine books and has published hundreds of articles on U.S. and Southwestern history, natural resources and conservation. 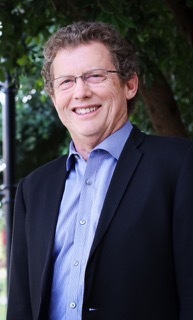 He retired in 2011 as the Associate Director of the Dolph Briscoe Center for American History, University of Texas at Austin. Active in community service, Dr. Cox recently served as President of the Board of Directors of the Pedernales Electric Cooperative (PEC), the nation’s largest electric cooperative with assets over $1 billion. In addition to being a trustee of We Own It, he currently serves as a board director on: Texas State University Alumni, Texas State University Liberal Arts Council, Texas Dance Hall Preservation Association, Amigos de Jesus, and KWVR Community Radio. He was a Past President of the Wimberley Valley Watershed Association, Past President of the Barton Springs/Edwards Aquifer Conservation District, and a Past President of the Wimberley Lions Club.